With the Lunar New Year quickly approaching, many families are busily preparing to welcome a new year of good fortune and prosperity. 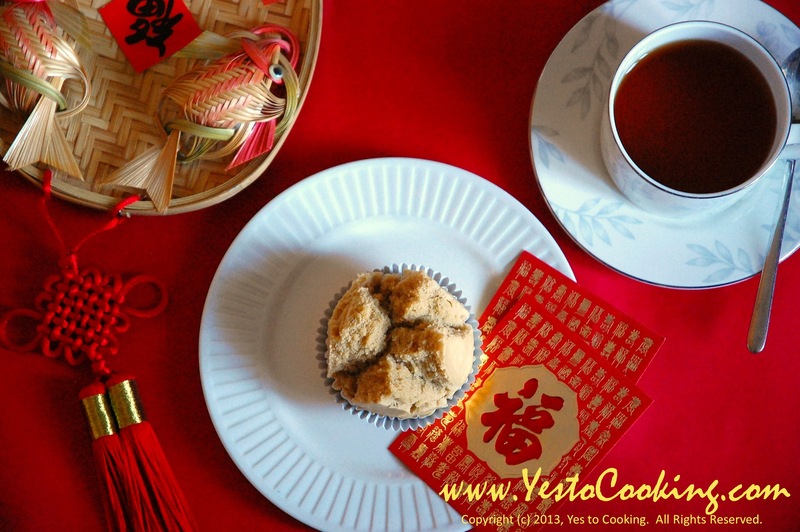 Steamed Prosperity Cakes (發糕) are a traditional dessert served during this important time of the year. The ingredients used in Prosperity Cakes are simple. By using a combination of white rice flour (available at oriental grocery stores or specialty stores) and all purpose flour, you will be able to achieve a light, tender texture. 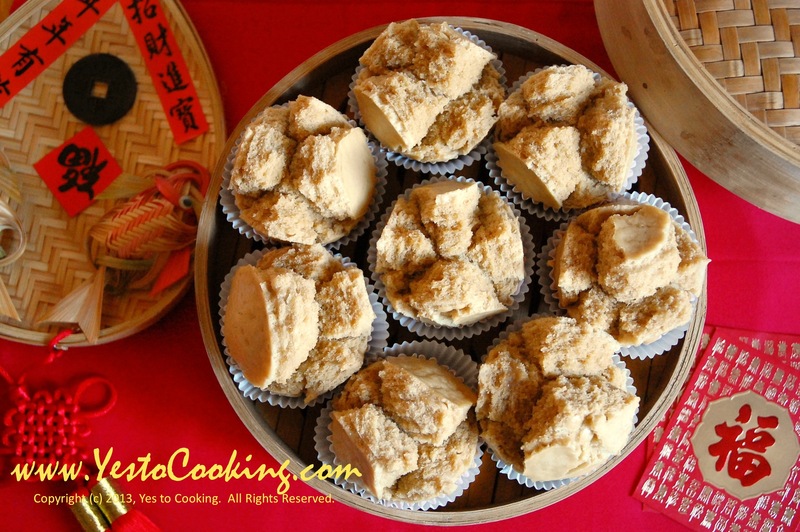 The signature of these cakes is the “blossom” on the top which resembles a smile that brings good fortune and happiness. The more “petals” to your cake and the higher it expands, the better! 1) Dissolve sugar with hot water in mixing bowl. Reserve two table spoons of cold water; pour cold water into hot sugar mixture. Set aside to cool to room temperature before use. 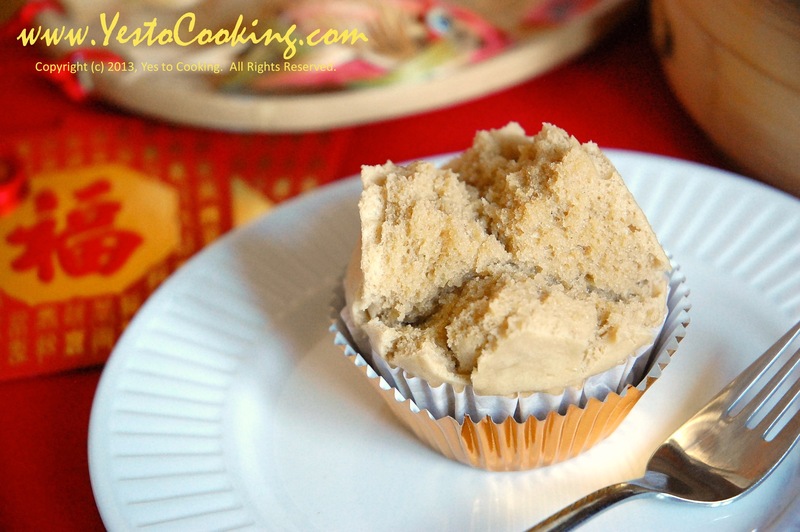 2) Sift white rice flour, cake flour, and baking powder together three times. 4) Heat up the steamer with enough water so that it would be continuously steaming at high heat, as we cannot open the steamer to refill the water during the steaming process. 5) Add sifted dry ingredients to the sugar mixture. Stir until thoroughly mixed and the mixture reaches a “ribbon” stage. If the mixture is too thick, add remaining cold water. 7) Portion the batter and fill each cup up to the top. 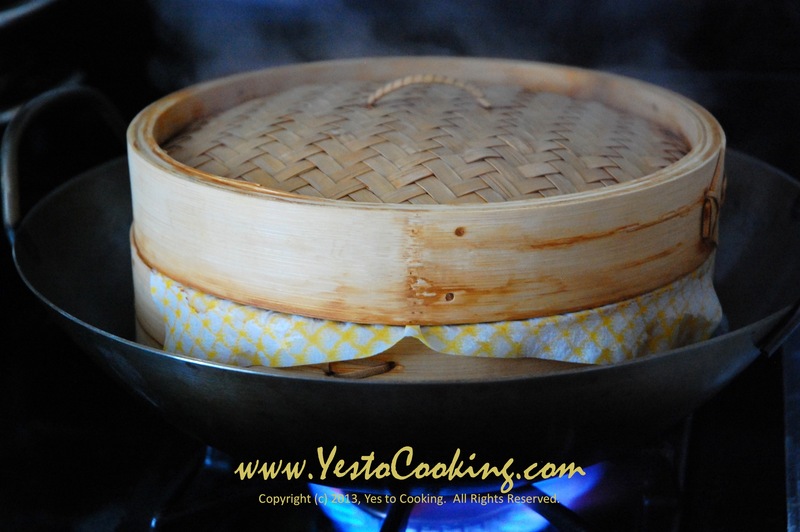 8) Place the cakes in a steamer and steam over high heat for 20 minutes. 9) Remove cakes from the steamer. Allow to cool on the wire cooling rack until it’s ready to serve. Temperature is extremely important for the Prosperity Cakes to develop its signature cracking. 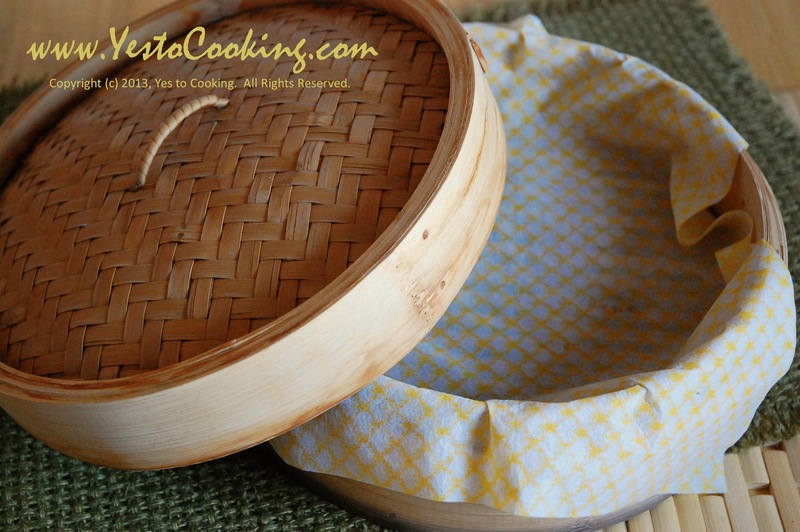 When steaming the cakes in the steamer, do not uncover the steamer until the steaming time is completed. Lifting the cover would allow the steam to escape and reduce the temperature. 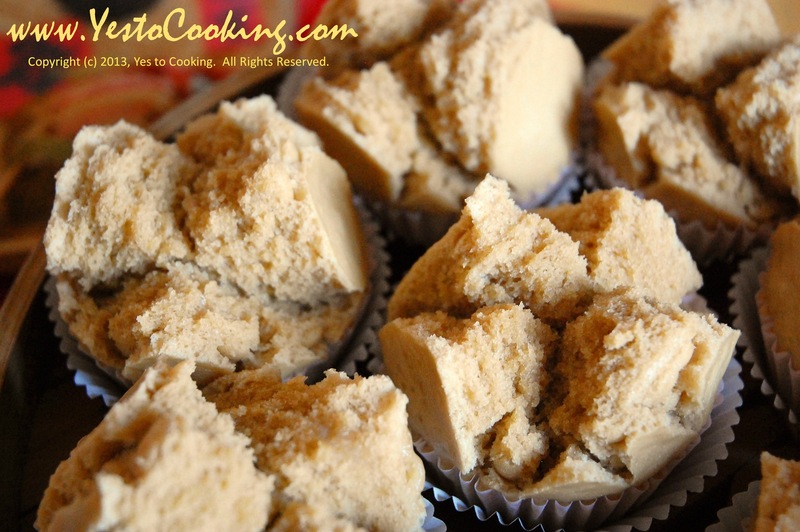 Prosperity Cakes can be kept fresh up to 2 weeks by covering in plastic wrap and storing in the refrigerator. Re-heat the cakes in a steamer over high heat for 10 minutes. If you are in a rush, you may re-heat the cakes wrapped in a microwaveable, damp paper towel and microwave for 30-seconds. 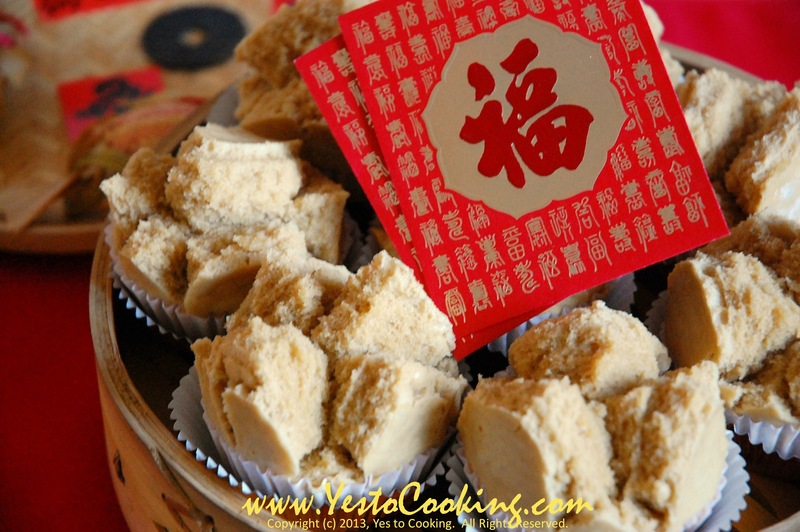 Tags: cantonese desserts, chinese cupcakes, chinese desserts, chinese new year food, 發糕, fa gao, Fortune Cake, Lucky Cake, lunar new year food, new year desserts, steamed prosperity cakes, traditional chinese desserts. Bookmark the permalink. 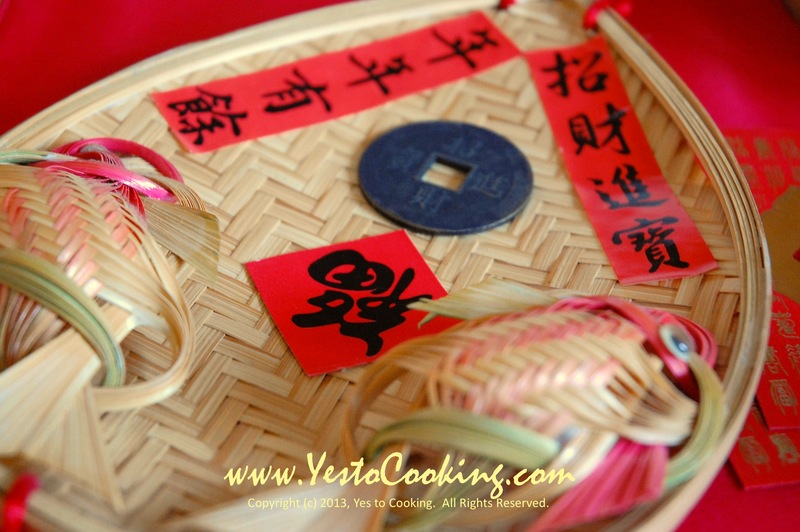 I’m thinking of making these for my mum for chinese new year but not confident enough to act on it. Yours looks really good.And I love this whole set of photos. Great art direction! Thanks for the recipe and such beautiful pics. I am looking forward to making this for my family. Happy and prosperous chinese new year to you!! Thank you for the kind comment. Happy new year to you and your family as well! Ah, these look delicious! The photos make me want to go and make these right now, but sadly I don’t have a steamer at university. I’ll have to save this recipe for the vacation and make them at home 🙂 Thanks for the idea! I am *craving* these cakes! Someone had brought them to a party last year and I never thought to ask what they were called, let alone how to make them. Can’t wait to take a stab at it- thanks for this gorgeous post! Can you recommend a good site to convert the recipe to US measurements? Am new to this and really want good results. Thanks so much and happy new year! As a rule of thumb, I recommend using weight instead of volume for precise measurements, which is important for “baked” goods like these Prosperity Cakes. For reference, you can convert the measurements for the cake flour, rice flour, and dark brown sugar using the charts here: http://allrecipes.com/howto/cup-to-gram-conversions/. Wishing you a happy lunar new year of health and prosperity! this looks almost too easy! I’m going to have to try and give it a go for this year 😀 thanks for the recipe! I just made these and mine didn’t crack like yours. So sad! I followed every step. Do you have any idea what may have caused them to only crack slightly? Maintaining a consistently high temperature is the most important. Did you prepare a large enough steaming pot with boiling water, before you placed your cakes into the steamer? There should be boiling water in the pot first. Hope that helps, and let me know if you have further questions! 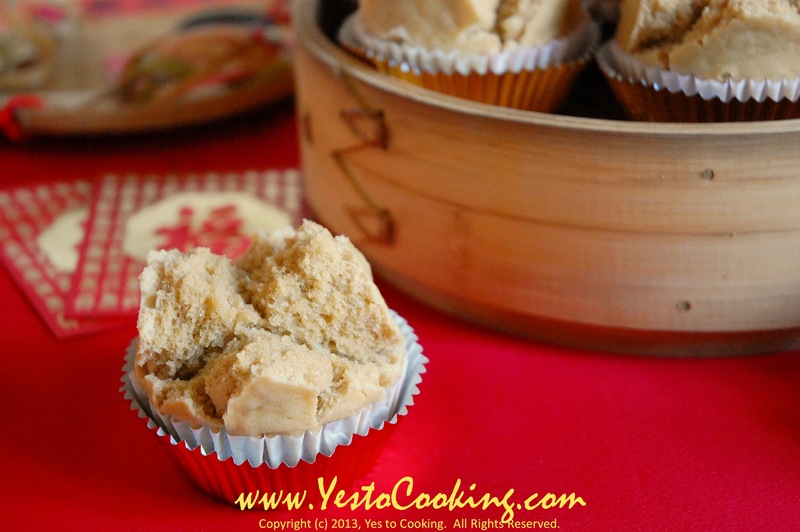 what type of rice flour do you use? there’s the glutinous kind and the sweet rice flour kind. 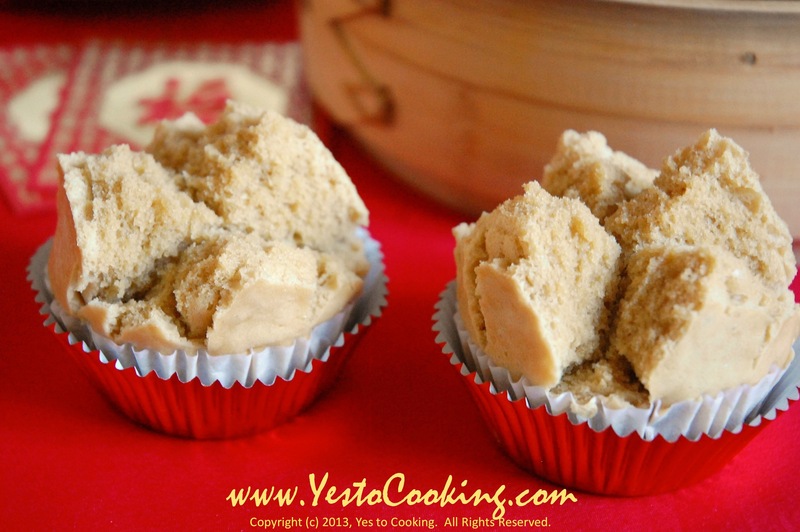 I use non-gluten rice flour, it’s not the same as sweet rice flour. please give it a try and let me know. You may notice that I have just updated the recipe. I use all purpose flour instead of cake flour because all purpose flour is easy to find in grocery store. When we have the right proportion, the result is equally good. Happy New Year! If I want to use food coloring to the cakes, would I be using white sugar instead of brown sugar? Also would it be in the same amount? If I were to make mini muffins, would I use the same baking time. I would assume less baking time, but since I can’t open the steamer, it would be hard to figure out when it’s really done. Have you tried making mini ones?